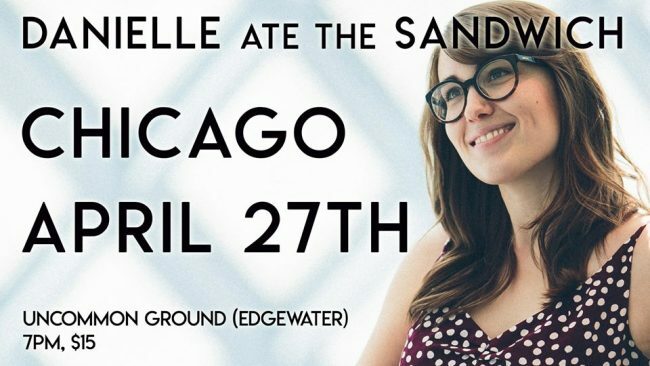 Danielle Ate the Sandwich is the stage name of pop-folk songwriter, Danielle Anderson. Based in Fort Collins, Colorado, Danielle has been touring nationally since 2009 after cultivating an online following from her homemade videos on Youtube and her unique style of online marketing that brings her music to the audience she affectionately refers to as “Fanwiches.” Her songs can be thoughtful, heavy and serious, but Danielle rarely takes herself too seriously. She’s known for her quirky lyrical twists, performing most frequently with a ukulele and delivering witty and honest stage banter in her live shows. Abbye West Pates is a songwriter and storyteller based in Memphis, TN. Born and raised in southern Mississippi, she often writes about the small town that raised her and the city that’s grown her up. Inspired by folk/Americana artists like Patty Griffin and Lori McKenna and authors like Wendell Berry, Abbye tells stories that locate you in a particular place with a particular people. She explores life’s real struggles – addiction, grief, anxiety – reminding us of grace and faith and forgiveness in the midst of it all.